Home Movies First Look: The All-New, All-Different Female Ghostbusters! First Look: The All-New, All-Different Female Ghostbusters! 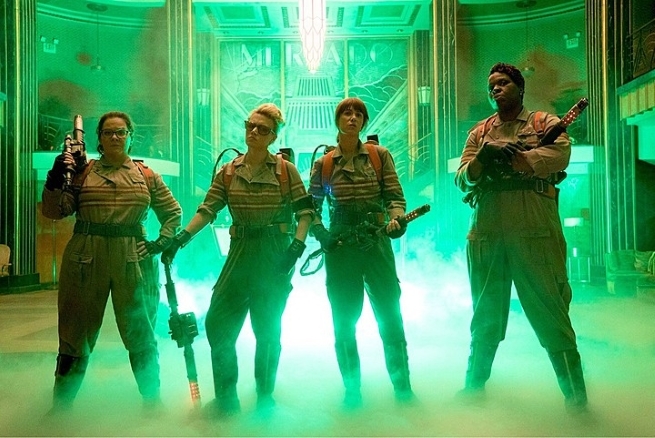 Hitting theaters on July next year, a new kind of “Who you gonna call?” is on the way to the big screen, as Sony reveals the all-new FEMALE version of the Ghostbusters has been revealed officially for the very first time, wearing their jumpsuits and carrying their proton packs to bust some spectral phenomenon causing trouble to the public! The film, directed by Paul Feig, will star Melissa McCarthy, Kate McKinnon, Kristen Wiig, and Leslie Jones. Sony Pictures will be distributing the film and it will be released on July 15, 2016. Previous articleGoogle’s LIGHTSABER ESCAPE will let you PLAY and FIGHT like a Jedi!